I am a huge Gudetama fan. Since his release years ago, I've been obsessed with the laziest egg on the planet. While I've calmed down with my obsession and I no longer need to buy every single Gudetama product I see, I still have an impressive collection. So, when I saw that my favorite pastry chain in Japan was doing a collaboration with one of my favorite Sanrio characters, I knew I had to visit. St. Marc's Cafe is a chain around Japan that serves coffee and pastries. Honestly, most things they serve are only average. 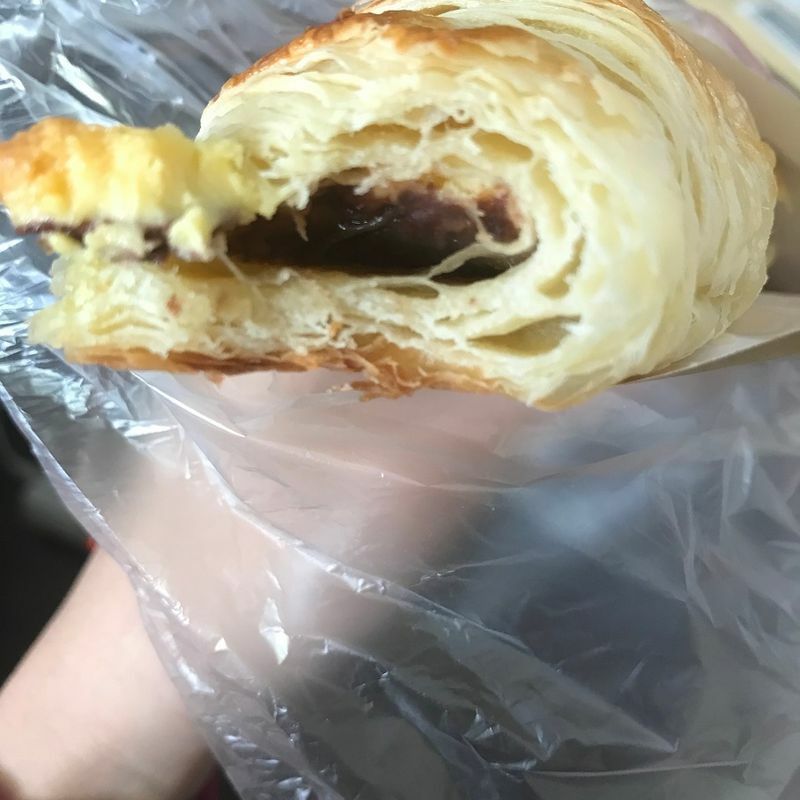 The only thing really worth getting is their famous chocolate croissants, or choco cros. The draw of the collaboration is the pudding flavored choco cro. Instead of the standard bitter chocolate, it'll be replaced by a pudding flavored white chocolate. 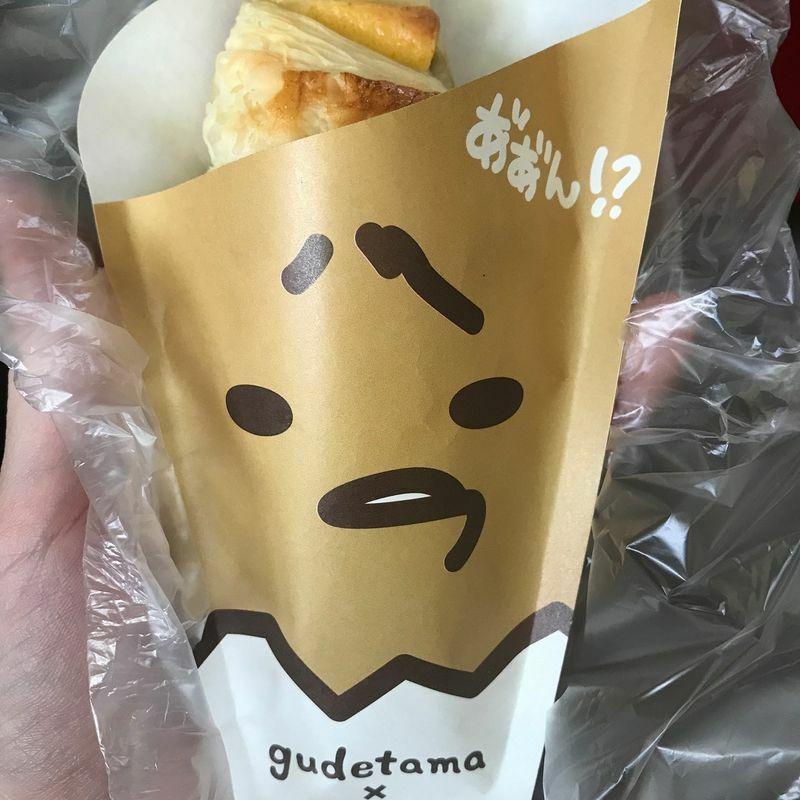 Along with that, the paper sleeves the pastry comes in will feature different Gudetama faces. And, if you buy an entire box, you can get the special Gudetama paper box to carry everything in. 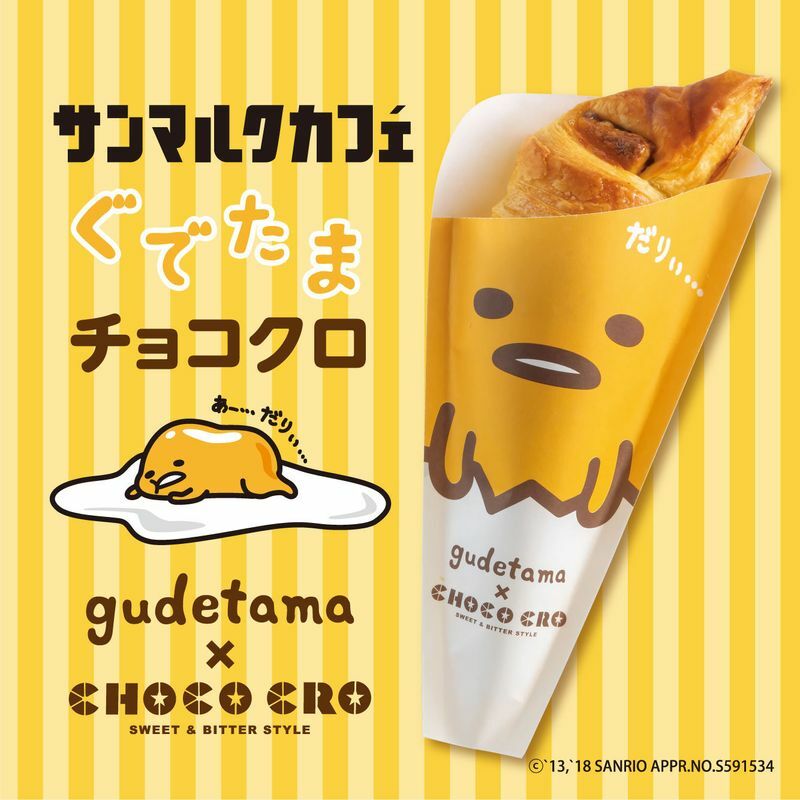 The choco cro costs 190 yen and the box set 790 yen, both pre-tax. Naturally, I got the best Gudetama face there is: the rotten egg Gudetama. He's the sassiest, so obviously my favorite. I really give them credit for the presentation! 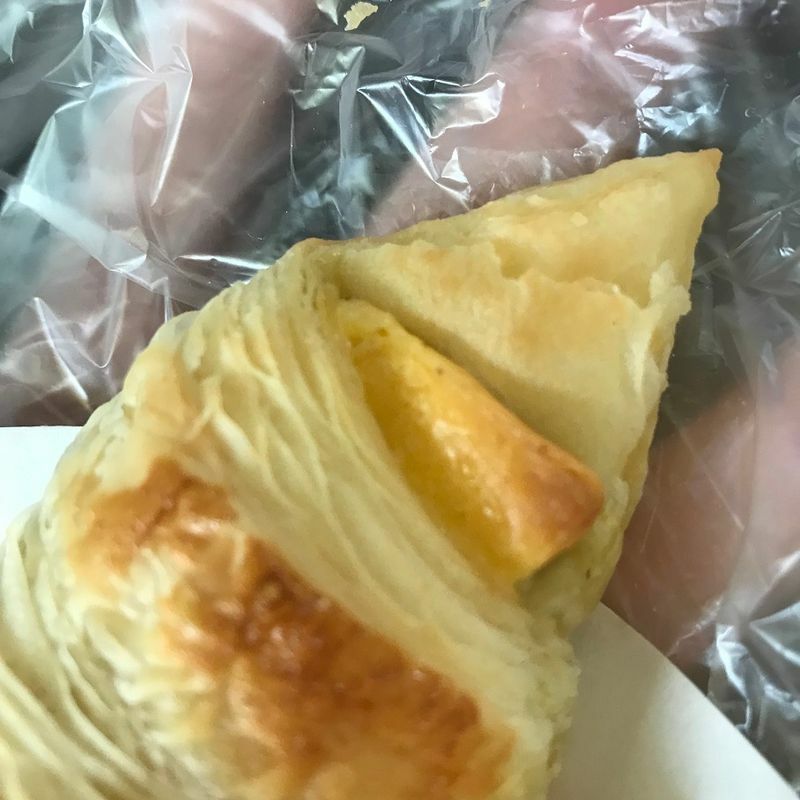 It looks really yummy. A close-up of the pudding filling. The bar of chocolate inside is just perfectly cooked, pulled from the oven right before it was about to burn, to give it a deeper flavor. You can see the browning here. They really know how to make a choco cro! 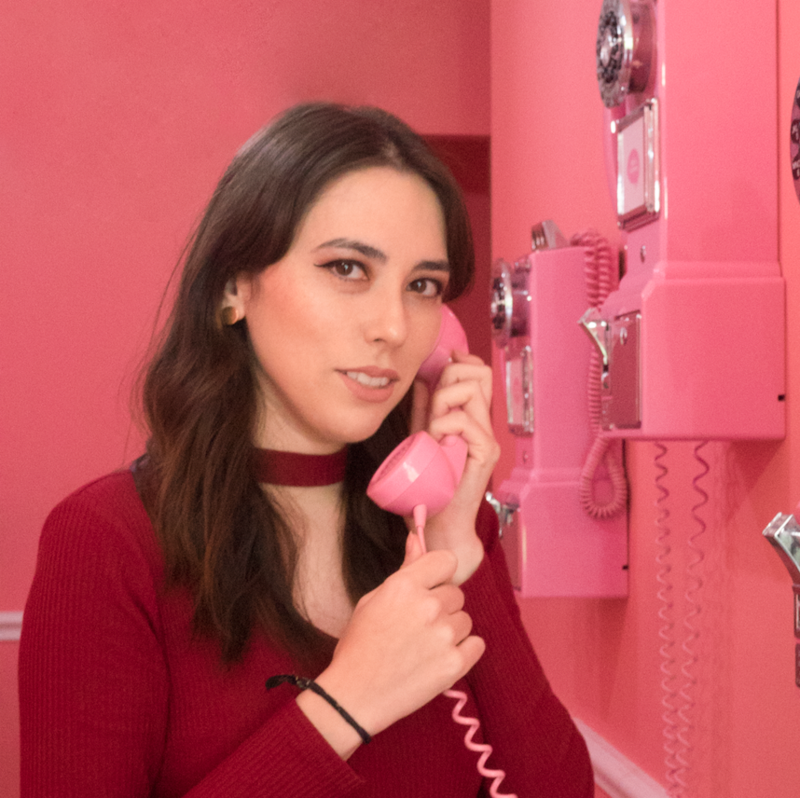 ...Or maybe I spoke too soon. I thought the entire thing would be filled with a pudding-white-chocolate bar. Instead, after the first bite, it turned into regular chocolate! Well, actually, that's not entirely true. It was a weird not-quite-pudding flavor. It didn't taste like regular chocolate. Something was definitely different; they definitely added something... But it was definitely not in a good way. It tasted off. It was not good. My luck with snacks was not going well. I couldn't finish it, and I wished I had gotten a regular one so I could get the gross flavor out of my mouth. I just drank some water and threw the second half of the choco cro away.